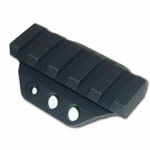 Elcan Accessories are known for their strength and durability. They help extend the life of the rifle scope they’re paired with and also add to the maintenance factor. The accessory list is inclusive of ARD or anti-reflection device, picatinny rail mount kit, flip cover kit, bikini lens cover, mounts, etc. Elcan flip covers for the objective or the ocular end safeguard the optic. They come with an instant access flip-up design, easily flip up and remain out of the way at the time of action, and can be conveniently flipped back when not in use. The ARDs or anti-reflection devices, on the other hand, have anti-glint capability that hide reflections from optical surfaces, lessen lens glare, and protect the optics glass from sand, dirt, grime, scratches and damages. 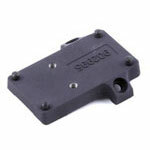 Other accessories like the scope bases provide support and ensure a snug fit against the firearm. Scope mounts hold the scope in place, whatever be the condition. So, look no further. Select from the Elcan Accessories on sale for better maintenance and reliable results. Shop now.